The D-Trac System is an exterior system that is added to an existing wood frame. This type of extrusion adds both weather protection and strength to the existing frame and allows for the venting of the interior space between the storm glass and stained glass panels, minimizing the greenhouse effect. This “Double Glazing” protects the stained glass from vandalism while also insulating from the heat and cold and reduces outside noise infiltration. The insurance and fuel costs can be lower as a result of the “Double Glazing”. All frame and sash members are a full 1 5/8″ deep. 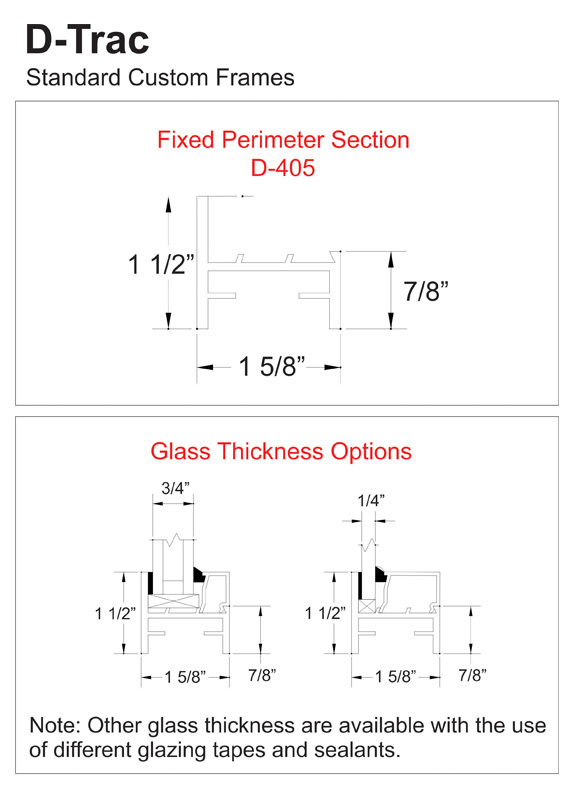 This D-Trac system allows for the installation of multiple thicknesses of insulated glass or 1/4″ plate glass. Venting of the interior air space can easily be accomplished through the tubular style extrusions. 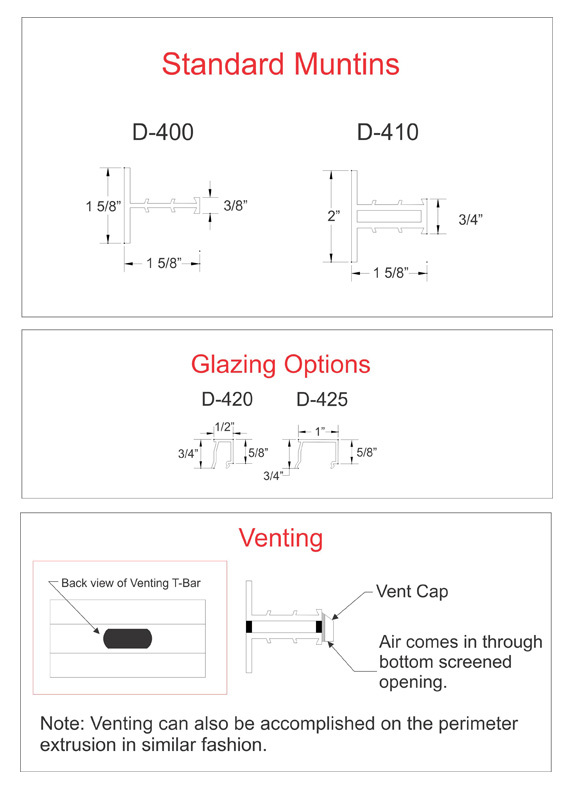 Ventilators are available as project-in or project-out.